It's Chinese New Year tomorrow, and what better time to take the opportunity to test out the pairing potential of our fragrant and aromatic English white wines with all those Asian spices? I've selected a trio of delicious whites, having put them through their paces and pairing them with a selection of traditional Chinese dishes. All three wines are available nationally on the high street and are more than capable of satisfying the curious palate without breaking the bank. So what are you waiting for; head out to your nearest Waitrose, M&S or Majestic store, grab one of these lovely bottles and get wokking away! 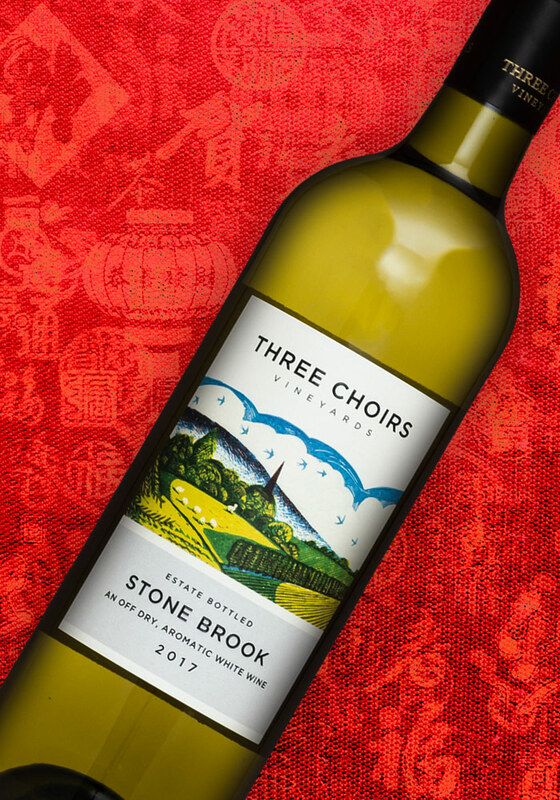 The Stone Brook from Three Choirs was a great addition to the Majestic wine range last year. The wine is a blend of mostly aromatic white grapes, and at £9.99 a bottle it's one of the cheapest English wines on the market. What's more, it's really quite delicious. Packed full of character and charm, this wine begins with a fresh and fragrant nose of lime zest, hedgerow and tropical fruit. The fusion of zippy citrus and tropical fruit richness made this a real crowd pleaser amongst our Chinese tasters. During our taste testing, the Stone Brook proved to be a hugely versatile pairing with all manner of Chinese dishes. However, it worked particularly well with the richer, meatier dishes, such as braised pork belly thanks to the lightly off-dry character. 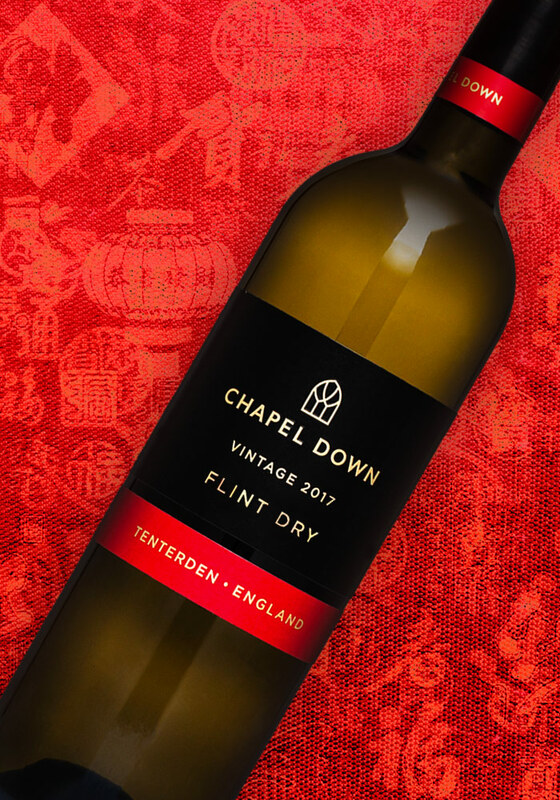 Chapel Down's Flint Dry is a Chardonnay-dominant blend of 7 different grapes, the others being Bacchus, Huxelrebe, Pinot Blanc, Reichensteiner, Müller-Thurgau, and even Pinot Noir. Despite its complicated makeup, this wine is a well balanced and fruit-forward easy drinker. It has an approachable balance between crunchy green orchard fruit flavours, bright citrus and light floral aromatics. 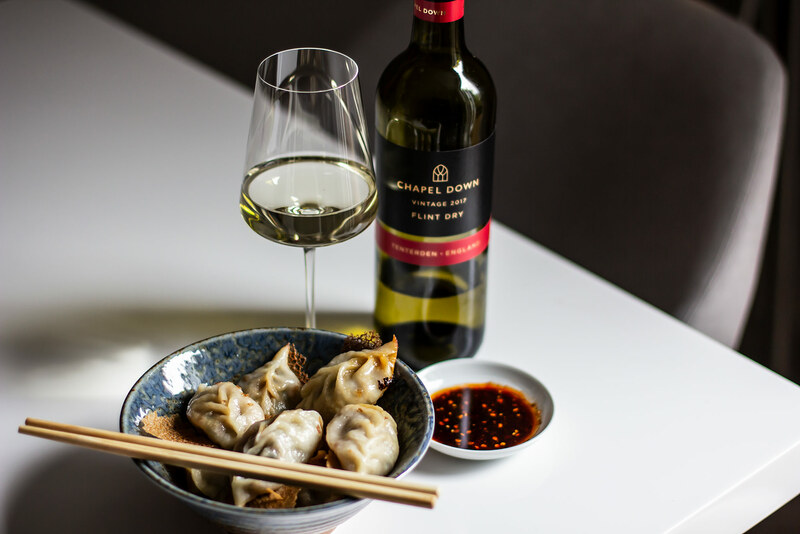 It's something of a halfway house between the zingy intensity of a Sauvignon Blanc and the aromatic charms of a Gewürztraminer, both which are two typical wine friends of Asian food. I found this paired best with the most classic of New Year dishes; home cooked Chinese dumplings with pork and chive filling. 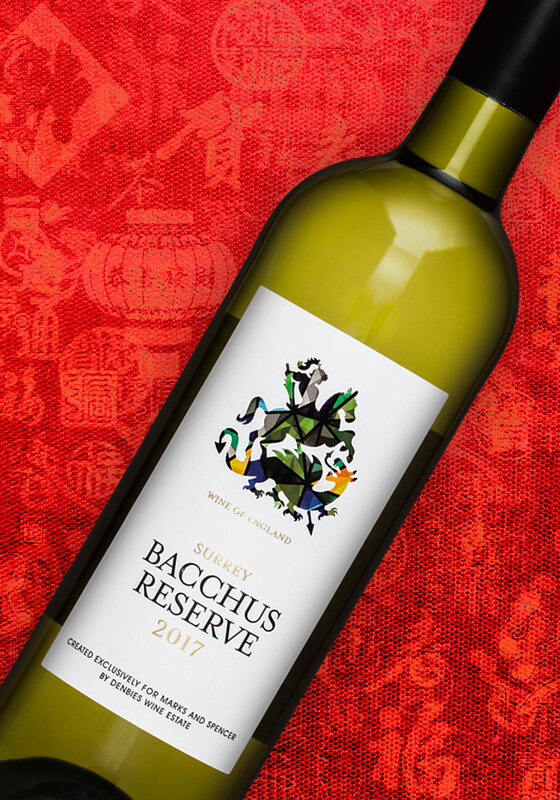 One of my recent discoveries in the latest Great British Wine Round-Up, this tastebud-teasing Bacchus from M&S is just made for Asian food pairing. As soon as you pour this wine, aromas of green fruit; gooseberry, lime, and vibrant tropical leap out of the glass. These aromatics lead to a punchy palate, packed full of zingy citrus fruit, with papaya and guava tropics. There's a grassy, nettle and herb note that lingers. The bright, exuberant character and lively, zingy flavours make this the perfect partner to fiery dishes like twice-cooked pork or Sichuan spicy fish. It also pairs particularly well with other Asian cuisines such as fragrant Thai curries.